Mike Denneen, at the recording board at Q Division studio in Somerville. When an unknown Boston band named Letters to Cleo brought a demo tape of a song called “Here & Now” to Mike Denneen in 1992, he listened once and knew exactly what to do: take a throwaway background vocal and turn it into the hook. Renowned for his legendary ear, Mr. Denneen heard melodies, sensed structures, and crafted crunching, sparkling sounds that influenced a generation of pop and rock musicians in Boston and beyond. An intellectual powerhouse, he infused the creative process with his incisive thinking. His strong opinions, uncompromising standards, and preternatural clarity in the studio earned the producer and recording engineer a nickname: the Sheriff. An accomplished pianist, Mr. Denneen turned his attention to other musicians shortly after graduating in 1985 from Yale University, where he majored in political science. He and Lupfer sublet the fourth floor of a neglected warehouse on Albany Street in Boston’s South End. They had neither qualifications nor building permits, but with the help of friends who traded their labor for future studio time the pair built Q Division, named for the repository of wacky gadgets in the James Bond movies. “We wanted to start a studio that was run by musicians, that wasn’t worrying about being slick and corporate,” Mr. Denneen told the Metro in 2003. The idea is common today but was virtually unheard of when Q Division opened its doors. Equipped with little more than a few microphones, a Tascam tape machine, and a cheap 16-track recording console, the pair befriended a handful of local engineers and invited them to do a project or two for free — “The oldest trick in the book,” Mr. Denneen later noted. He and Mr. Lupfer watched and learned. Word spread about the new studio, others came in, and within a couple of years the schedule was solidly booked. “He was the most interesting combination of smart and honest and thoughtful and talented,” said his wife, who initially was a client. Mr. Denneen produced two albums for her, including “Gun Shy Trigger Happy,” Entertainment Weekly’s album of the year for 1997, before they married and had a daughter, Grace. As Mr. Denneen’s reputation as an engineer and producer grew, his generosity and good humor, coupled with a profound intuition for just how hard and how far he could push artists to give their best performance, made him a pillar of the city’s music community. In 2000, Q Division moved to a state-of-the-art clubhouse in Somerville, just outside of Davis Square, where Mr. Denneen mentored a growing staff of engineers and producers. Over the years, a wealth of local and independent bands and many illustrious artists recorded there, including the Pixies, James Taylor, Liz Phair, Natalie Merchant, Wyclef Jean, and Destiny’s Child. Mr. Denneen was particularly attuned to young talent, using his keen pop sensibilities to help unformed artists develop their sound and launch careers. Michael Joseph Denneen was born in Boston and grew up in Quincy, the oldest of four boys. He began piano lessons as a toddler, started writing music shortly after, and was performing in public by the time he turned 8. Aware that their son was woefully under-challenged in public school, his middle class parents hoped to send him to Milton Academy, despite the financial hardship it would impose. Mr. Denneen hated the idea of an elite education and purposely bungled the interview. He was nonetheless accepted, awarded a scholarship, and flourished. Mr. Denneen and Jon Lupfer met in a jazz improvisation class. The pair bonded over their love of Monty Python and formed their first band, Busload of Nuns, which blended jazz elements with the angular rock they adored. “It was an incoherent mess,” recalled Mr. Lupfer. Still, they recorded tracks at Newbury Sound and Downtown Recorders, and both young men fell hard for the studio experience. Making records became Mr. Denneen’s business, but nurturing artists (along with politics and the Red Sox) was his passion. 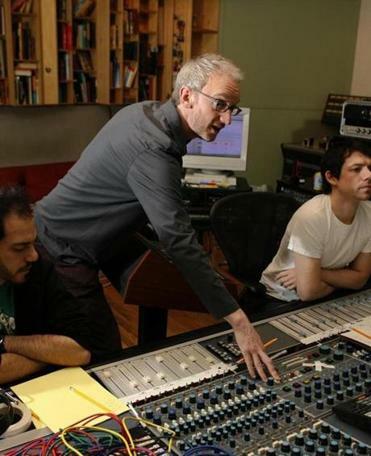 “When Fountains of Wayne got dropped by our record label, Mike worked with us for two years on a new album anyway,” said Adam Schlesinger, the band’s cofounder. “Welcome Interstate Managers” flew up the charts thanks to the hit “Stacy’s Mom,” which Mr. Denneen produced. “That record resurrected our career,” Schlesinger said. In addition to his wife, daughter, and brother, Mr. Denneen leaves his parents, William and Mary Denneen of Quincy, and two other brothers, Bill of Oberlin, Ohio, and Jeff of Alpharetta, Ga.
A memorial celebration will be held at 4 p.m. Aug. 4 in the Mosesian Center for the Arts in Watertown. Until several weeks before his death, Mr. Denneen continued to work at Berklee College of Music, where he was associate professor, and at the Mosesian Center for the Arts, where he was board president. His wife was doing dishes when Mr. Denneen, in his final week of life and barely able to breath, somehow got himself to the living room piano. He sat and played for half an hour. She pressed record on her phone.